How do you spray weeds in a timely fashion when every day seems too windy? Too windy, according to the Guide to Crop Protection, can be product specific but is generally above 15 km/h. Herbicide drift can be costly on your own farm and especially awkward and costly if it carries to a neighbouring farm. Use low-drift nozzles. Using a low-drift nozzle so you can spray weeds early is better than waiting longer for a relatively calm day suitable for a finer spray. Increase water volumes to improve coverage with large droplets. Find a nozzle that can achieve a coarse spray at a broad range of pressures. But too coarse and you may not be getting adequate coverage, especially at low water volumes. Click here for a full article with images, including water-sensitive paper that demonstrates coverage based on droplet size and water volume. NOTE on pressure: Simply reducing pressure is not a solution. If you reduce pressure, you also have to slow down to get the right rate applied. The only possible exception is dropping the pressure on an Agrifac dual fluid nozzle or a pulse-width modulation system where you are able to change droplet size using pressure while maintaining rate. Aim for 100% overlap nozzle to nozzle. 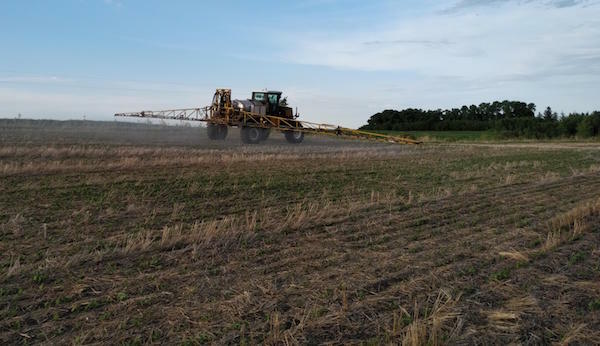 This provides equal coverage across the whole boom width — not just in spray volume, but also in the number of droplets. 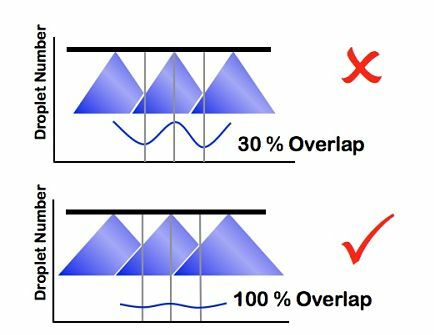 100% overlap provides equal coverage across the whole boom width. Keep your boom low to reduce drift. But use a nozzle with a wide fan angle to maintain 100% overlap at low heights. See the image above. Spray from one nozzle should reach to the middle of the spray pattern of the adjacent nozzle. Maintain reasonable travel speeds. Slower speeds reduce the amount of fine droplets that hang behind the spray boom, and going slower makes it safer to drive with the boom lower. Slower ground speed also reduces turbulence that causes finer drops to move off target or upward instead of toward the target surface. Let the weather help you. Light winds disperse spray and help it to ground. Take the wind from the side if you can because traveling straight into the wind creates a lot of extra drift. Talk to people who might be affected. If you have to spray on days that are not ideal, talk to neighbours who might be affected by spray drift. Damaging a sensitive crop or a relationship is probably not worth the risk. What about wind screens or shrouds? Shrouds, shields and cones to protect spray patterns from wind were more common on tow-behind sprayers. Tom Wolf of sprayers101.com says they were actually quite effective at reducing drift: shields could reduce drift by up to 75% and cones by up to 30%. However, operators couldn’t see the nozzles to detect plugs or other malfunctions, they tended to get wet with chemical and contaminate, they made it harder to service nozzles AND they are more expensive that low-drift nozzles. Boom touchdowns can also damage them and they get in the way of boom folding. For these reasons, wind protective shrouds are disappearing. New ideas are coming along, such as Pattern Master drift brushes for each nozzle. 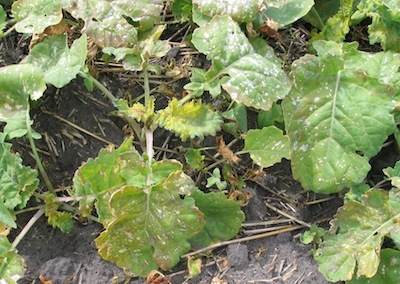 —Contact herbicides like Liberty need coverage and at least 10 gal./ac. to maintain efficacy. Instead of increasing pressure to increase volume output, consider using a larger nozzle, as the higher pressures create more fines that are prone to off-target movement. —Group 2 products for the Clearfield system are systemic herbicides but in general perform well with coarse sprays and water volumes of 10 gal./ac. or more, with the exception of Ares which is registered to be applied with as little as 5 gal/ac. —For more specific suggestions with regard to nozzle choice, check product labels. General rule on water volumes: Higher water volumes mean better coverage, which can increase efficacy for contact herbicides. 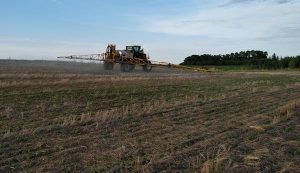 For systemic herbicides, lower water can be effective. Getting spray water tested can be an important step in effectively improving herbicide efficacy. When using hard water to apply glyphosate, lowering water volumes may be effective in other cases adding ammonium sulphate can reduce antagonism. lower water volumes may improve efficacy of certain herbicides, including glyphosate. Get wind speed, gust and direction information at ventusky.com.